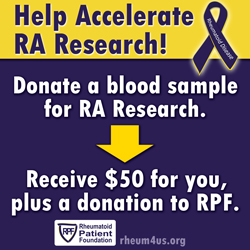 Donate Blood to RA Research – Get $50 and a Donation to RPF! 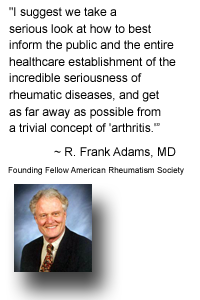 One of the goals of the Rheumatoid Patient Foundation is to contribute to and promote scientific discovery that leads to a cure. Here's one simple way that you can get involved to help accelerate research and perhaps get us one step closer to that ultimate goal of a cure. 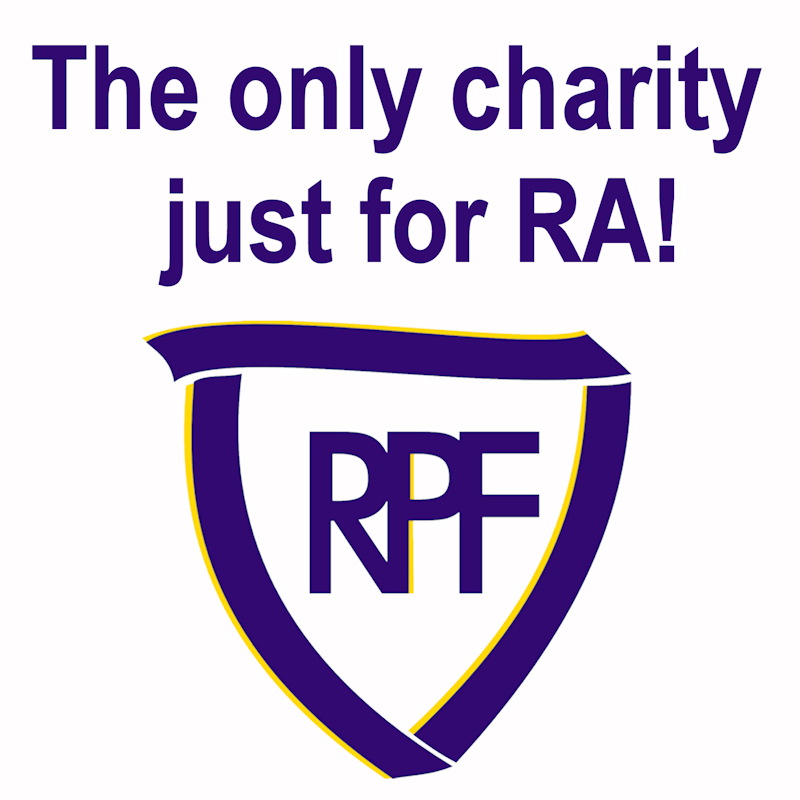 Sign up to give a simple, one-time blood donation for RA research, and you can earn $50 for your time plus a $25 donation to a non-profit organization of your choosing (including RPF!). 1. Sign-up via this link to volunteer to donate blood for preclinical RA research. 2. Sanguine Biosciences will contact you for additional information. If you meet the current study criteria they will schedule a simple 79mL blood draw. The best part? It can be done from the comfort of your own home at a time that's convenient for you! 3. You will receive $50 for your donation, and you can select a non-profit organization to receive an additional $25 donation. 4. 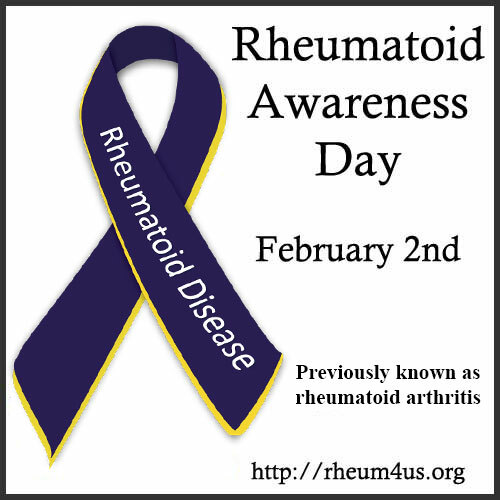 Your blood sample will be sent to a biomedical research group to be used in a preclinical rheumatoid arthritis study. In the current study, researchers will be studying blood samples divided into three cohorts based on responsiveness to specific treatment types (Non-responsive to methotrexate; Non-responsive to anti-TNF treatment; and Responsive to anti-TNF treatment). If you don't qualify for the current study, Sanguine Biosciences will keep your information on file and contact you when they have a study that's a match for you. Please note, you must be 18 years or older to donate, and you must live within the specified geographies on the sign-up page. Visit the Sanguine Biosciences website to learn more about the company and the donation process.